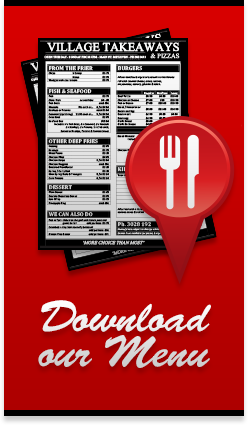 Located in the centre of Methven, on the main street, Village Takeaways is convenient and easy to find. From our Takeaway and Pizzeria, we provide a fantastic, 'More Choice Than Most', array of food including great fish 'n' chips, a good choice of seafood and fish cooked from fresh plus many more deep fried goodies. Our burgers are built on our handmade buns baked fresh in our shop. We've just gone round, the shape we're told of a real burger, so check out our new range of Mountain Burgers, awesomely big, fresh & delicious.